If you’re new to this blog, hopefully my posts over the last few years will have demonstrated that it’s actually fairly straightforward and simple to start growing vegetables in your garden or on your balcony. If you’re looking to give vegetable growing a go next spring, why not start planning your adventure right now? It’s essential to invest in some gardening tools, and starting now can help to spread the cost over winter before spring arrives. So here’s my guide to the beginner vegetable gardener’s essential toolkit (all images are from the GardenXL website). One of the true basics! 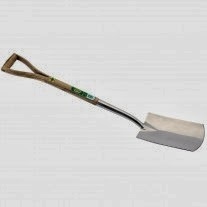 A hand trowel is useful for all sorts of things and mine never leaves my side. 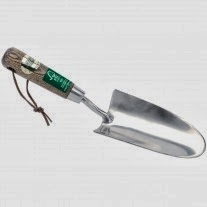 Whether it’s transporting compost from bag to plant pot, planting plants out in the vegetable patch or generally cleaning beds up, a trowel is essential kit, whether you’re starting on a balcony, patio or in a garden. When I had my allotment in Richmond, I only then realised the importance of soil preparation. 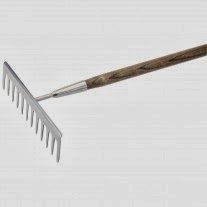 A decent garden rake is an essential piece of kit if you want to prepare soil, keeping it raked over and oxygenated nicely. Putting in the effort of soil preparation up front will pay dividends in the long-run! Some more essential kit for the garden vegetable-grower! 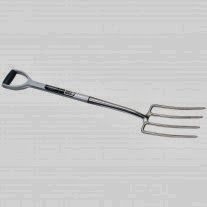 A garden spade is a useful tool to dig up and prepare soil in the garden, while the classic garden fork is vital to keep soil turned over and fresh. Stainless steel tools not only look nice, but they also remain rust-free – perfect when gardening in damp conditions! Finally, pruning shears are a decent buy for the budding vegetable gardener. While these are traditionally employed for pruning (hence the name! 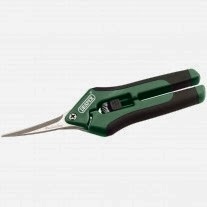 ), my pruning shears come in useful for all manner of things – cutting string, shopping bits of bushes and plants – anything that needs cutting. So there you have it: the London Vegetable Garden guide to essential garden tools. If you’re looking to have a go at growing your own next spring, take a look at the full range of garden tools available at GardenXL and plan your growing adventures today.